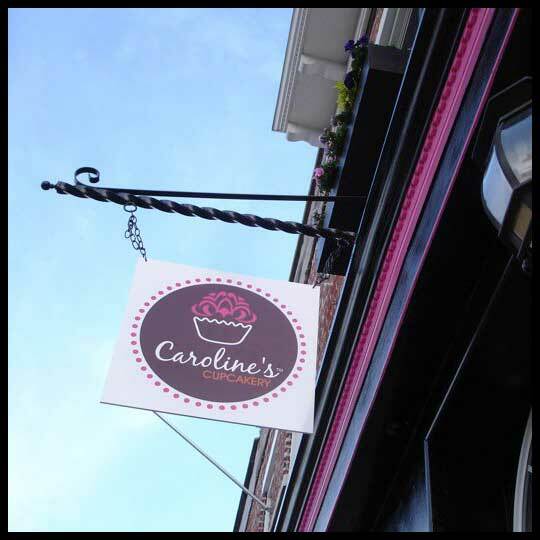 From the Archives: Caroline’s Cupcakery, always a favorite. I was looking back through photos, trying to find something “from the archives” to post about today, and I realized that about a year ago guest cupcake crusader, Elisa, and I (joined by a good friend) went to Caroline’s Cupcakery, located on Fort Ave in Baltimore City, for a “Happy Hour” they were having. Look at all that delicious chocolate frosting. The Peanut Butter Chocolate cupcake was divine. Normally I would say that the frosting to cake ratio on this is WAY out of proportion, but their chocolate frosting is probably some of the best I’ve ever had. It’s doesn’t quite taste like milk chocolate, but isn’t totally semi sweet/dark (which I tend to prefer) either. It is balanced somewhere between the two. So, my plan of action with this was to eat half the frosting off the top so the rest of the cake and frosting was balanced out proportionally. It worked. The Pink Wonder with Strawberry Drizzle took me by surprise. I’m not normally a huge fan of fruit flavored frosting (except lemon, I’ve always liked lemon frosting) but this was flavored so well. It actually tasted like a strawberry PopTart, which I think is really cool. There’s only one thing I can say to describe the Citrus Wonder… Sunshine. It is like summer in a bite size tasty treat. Perfection. I could go on about the Peanut Butter and Joy, but like the Chocolate Peanut Butter, it’s just really good. This frosting was a bit more like dark chocolate, which suites me just fine. 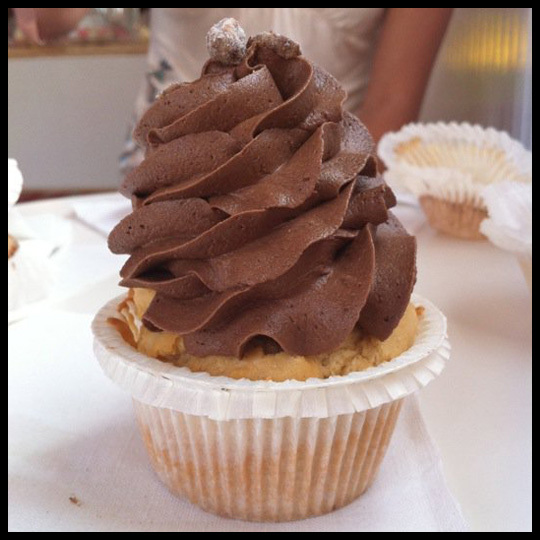 If you are ever in the Baltimore area, please make sure to check out Caroline’s Cupcakery. 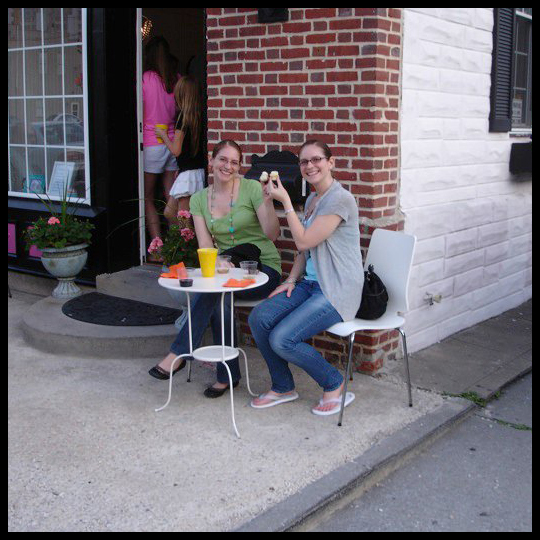 They are a wonderful neighborhood place to visit if you are craving something sweet. You won’t be disapointed. (They also have a new location in Harbor East, inside the Haagen Dazs). I hope everyone has a great weekend! Happy Cupcake Adventures! 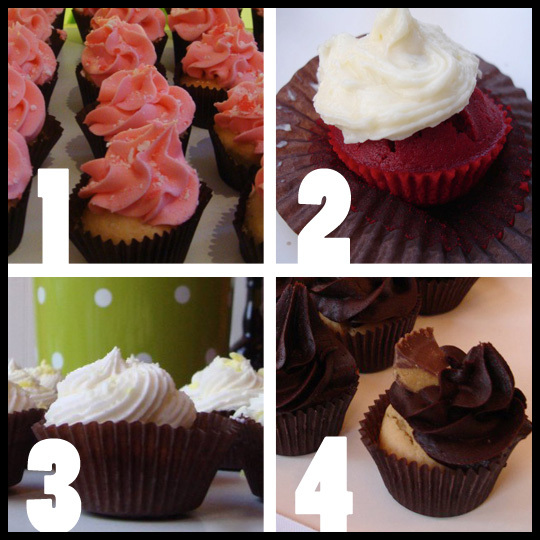 This entry was posted in Baltimore, Cupcakes, Maryland and tagged baltimore, Caroline's Cupcakery, Cupcake, lemon, peanut butter chocolate, Red Velvet, strawberry, wine by Stacy. Bookmark the permalink. I should…gonna go look now and get it in my wallet!